I'm popping by real quick to announce the winner of the Simon Says Stamp March 2017 Card Kit: Some Bunny! This is so super adorable...love that background!!!! Congrats snappy scrappy! Please get in touch via the 'contact me' button on my side bar with you mailing address so I can pass it on to Simon Says Stamp. 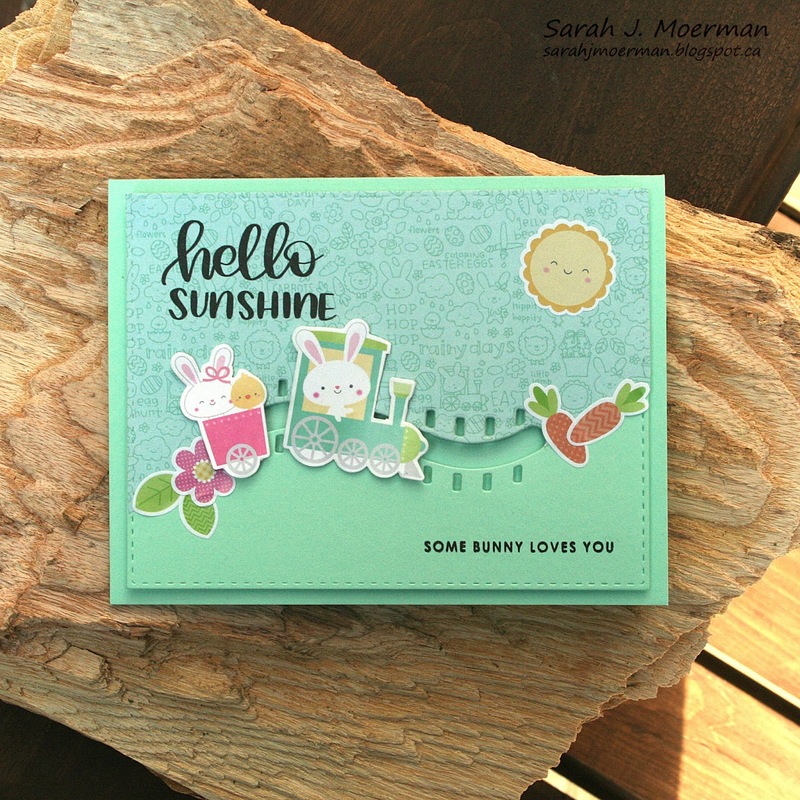 I'm back today to share a final card featuring the Simon Says Stamp March 2017 Card Kit: Some Bunny! Although this kit has sold out, many of the individual conponents are still available and are listed in my supply list at the end of this post. 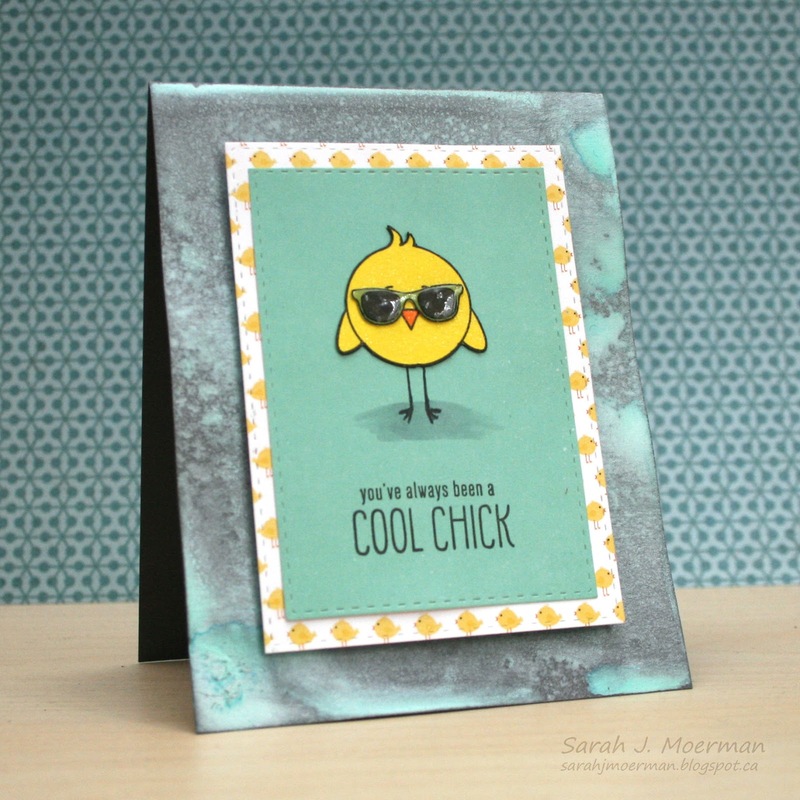 For this card, I paper-pieced the chick and glasses, adding Clear Wink of Stella Glitter Marker to the chick and Glossy Accents to the glasses. For the background, I put some of the Tonic Aquamarine Nuvo Mousse into the Ranger Mini Mister Spray Bottle, added water, and mixed it all up. I then spritzed it onto my Slate Gray card base. As I mentioned above, the Simon Says Stamp March 2017 Card Kit has sold out. If you'd like to receive future kits for only $24.95 + shipping per month, you can SUBSCRIBE HERE. 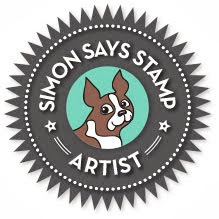 Heidi, owner of Simon Says Stamp, has given me an extra Simon Says Stamp March 2017 Card Kit to pass on to one of you! 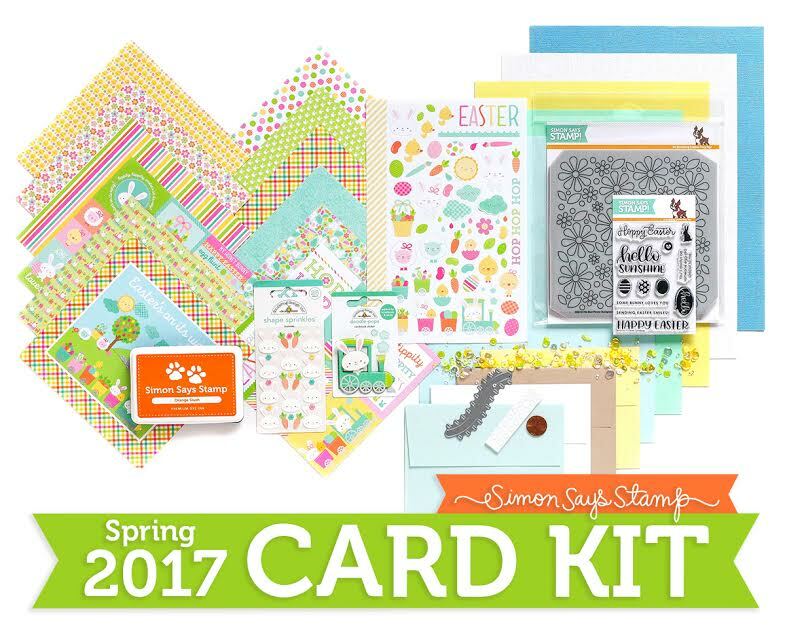 Just leave a comment on any or all of my March Card Kit posts and I'll announce a winner Monday, February 27th. 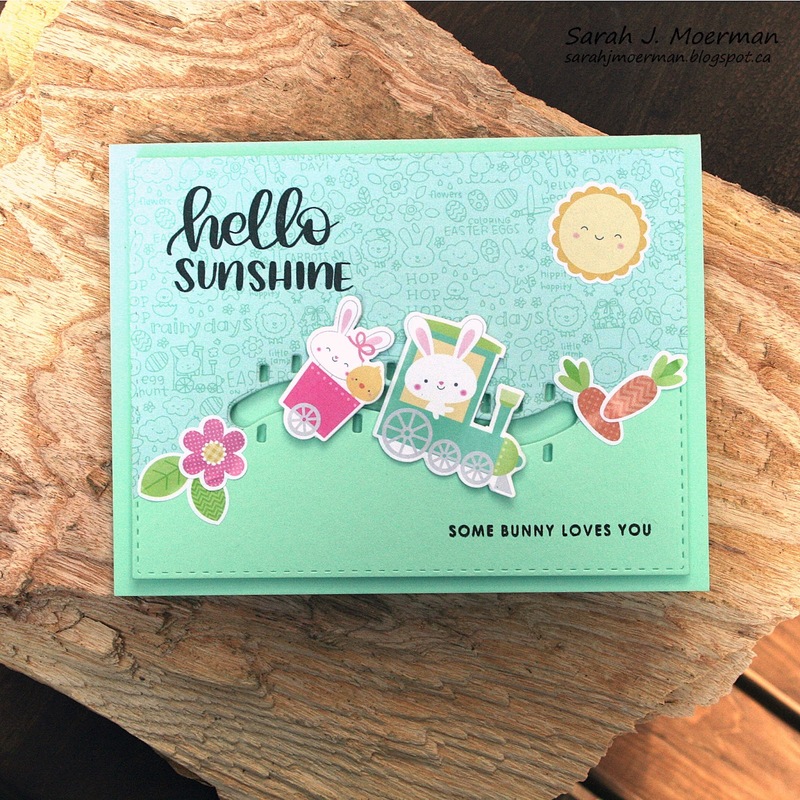 The Simon Says Stamp Limited Edition Card Kit: Hopping Along is now out of stock BUT you can still order individual components. At the time of this posting both the Railroad Slider Die and Doodlebug Easter Express Mini Icon Stickers I feature on today's card are still available at Simon Says Stamp! Although the Doodlebug Easter Express 3D Stickers are the obvious choice for a slider card, I thought I'd use a couple of stickers from the Doodlebug Easter Express Mini Icon Sticker set so the engineer bunny could pull a couple of friends along in another train car. I love how topsy and whimsical the car is as it moves behind the engine. I accomplished this by using clear thread to connect the two. First, I adhered both train stickers onto a piece of cardstock to give them more support (and so the backs wouldn't be sticky) before cutting them out. 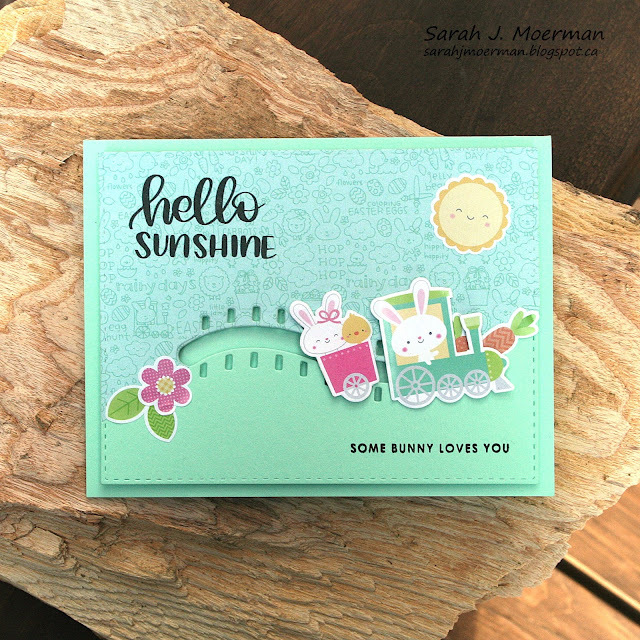 I die cut the Simon Says Stamp Railroad Slider Die from the Mint Cardstock as well as a piece of the Doodlebug Easter Express 6x6 Papers. I cut the patterned paper sky at the horizon and adhered it on top of the mint piece. I then die cut this panel with one of Simon's Stitched Rectangles Dies. 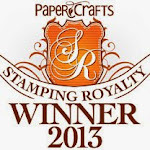 Next, I stamped the sentiments using my Misti Stamping Tool. I adhered foam to the back of the panel, making sure to leave room for the penny and a small button to travel along the die cut track. I added these two components and carefully adhered the panel to my card front trapping the penny and button in between. I used a small piece of Clear Thread and sandwiched it between the foam dots and penny on the right and the button and foam dot on the left before adding the train stickers on top. Finally, I added the flower and carrot stickers to cover the horizon line (and the sun to go with the sentiment). I hope all that made sense. My full supply list is just below.